IHOP Free Pancake Day is March 12th! 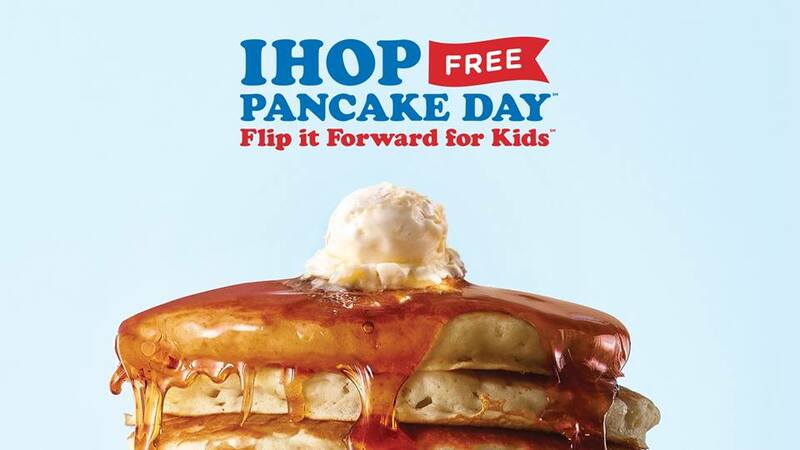 Visit a local IHOP on March 12th and enjoy a free short stack of pancakes in an exchange for a donation to CMN Hospitals. Try Kid Chef Brody’s OREO® Oh My Goodness pancake now through April 14. $1 of each purchase benefits CMN Hospitals (depending on location). Proceeds benefit kids like Caden from Hershey. He says his favorite pancake would include HERSHEY’s Chocolate. Caden visits our hospital weekly for treatment related to a diagnosis of Down syndrome. Watch his story below. Thanks to IHOP for supporting our hospital and to all of you for enjoying free pancakes and helping kids!